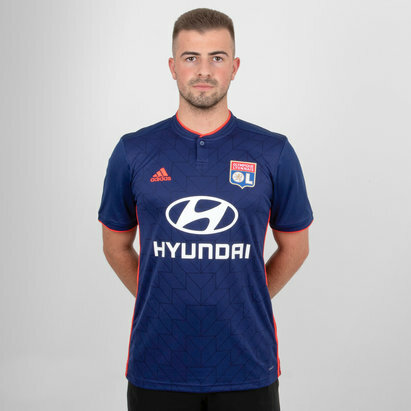 Show your pride for The Kids whether it's out and about or at the Groupama Stadium in this Olympique Lyon 18/19 Home Replica S/S Football Shirt from adidas. French Ligue 1 side Lyon have collaborated with adidas for this season's kit which is clean and simple. 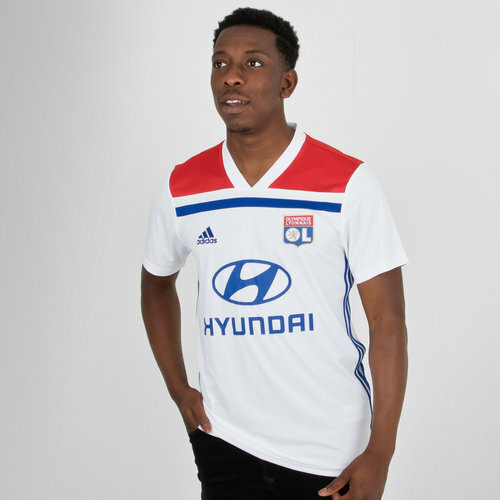 Based on the adidas Regista 18 template, the new Lyon home football shirt is white with a red block on the shoulders. It has a thin blue horizontal stripe slightly below the collar. The club badge is on the left in red and blue with the adidas logo on the right in just blue. The classic adidas 3 stripe motif is under the arms in blue whilst the club's sponsor - Hyundai - is across the middle also in blue. Make sure to grab this shirt and show that your a true Lyon fan whether that's out and about, in training or at Groupama Stadium.